Painting Atlanta’s fine homes has been the hallmark of our business and reputation. The owners of luxury homes around the city have trusted Kenneth Axt Painting with their greatest investment and we hope that you will too. 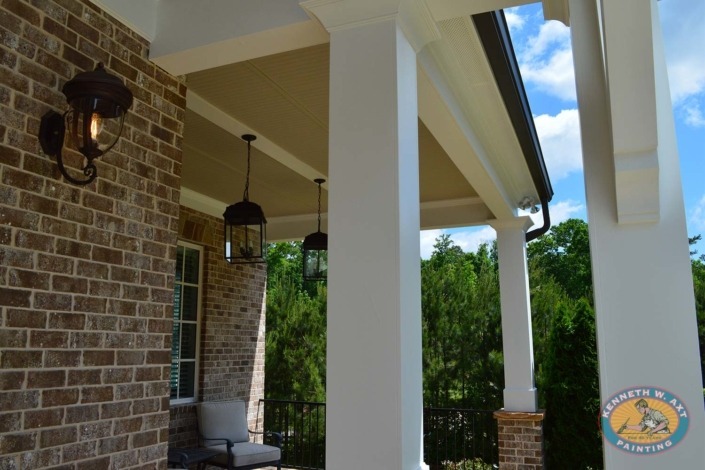 We employ only the highest quality Sherwin Williams paints and stains to ensure lasting finishes on your home’s exterior surfaces. Our meticulous preparation includes a full range of carpentry repairs to replace damaged and rotting wood with Hardie or PVC products to extend the life of your exterior painting finish. Ask about our 10 Year Warranty & 3 Year Maintenance Program. All interior painting estimates our performed by owner, Kenneth Axt. Ken will provide you with a detailed estimate, make recommendations on repairs, product application and answer any questions that you may have. With more than 40 years experience, our clients find Ken’s presence to be very reassuring. Our highly trained and specialized interior paint foremen & crews are background checked. They are respectful of your home & family and our clients feel safe having them in their homes. Our clients enjoy the process of meeting with our design expert, Marcie. She meets with you IN YOUR HOME to make recommendations on INTERIOR or EXTERIOR colors that work with your style, your furnishings, your neighborhood. One of the key factors that set us apart from the competition is our estimating process. Each exterior estimate is performed by David Axt and cover 14 points of concern for most homeowners. Your exterior painting estimate will include a comprehensive & detailed carpentry report For more information, read: Understanding Your Painting Estimate. Whether you are painting the interior of a newly constructed home before moving in or freshening the exterior or living spaces of your well-loved home, Kenneth Axt Painting Company is always the right choice! We provide comprehensive painting and design services that will provide you with a long lasting, durable finish that you will be proud of for years to come.